The end of the year is nearly here, and many people are still making all of the last-minute financial transactions they can to reduce their tax liability for the upcoming tax season. There are a number of transactions individuals can make to qualify for a tax credit or deduction, ranging from eligible medical expenses to charitable contributions, but one lesser-known action people can take involves the timing of a payment homeowners make each month: their monthly mortgage payment. The Internal Revenue Service allows homeowners to deduct mortgage interest paid out over the course of a year, and some individuals capitalize on this rule by making their December mortgage payment before the end of the year. The set-up of the payment system makes scenario easier for many people. When a person rents a property, they are required to pay their monthly balance beforehand - meaning that a tenant must satisfy their January payment in December. With mortgage payments, the opposite is true. Homeowners make their monthly payment in the month following their occupancy, which means that most people pay their December balance in January. However, by making this payment by Dec. 31, 2013 - instead of waiting until the standard Jan. 7 deadline most people are accustomed to - their Jan. 1 mortgage statement represents interest for the month of December, making it a tax-break-eligible bill for this year, Bankrate.com explains. There are some tips and guidelines to keep in mind though before choosing to make an early payment. 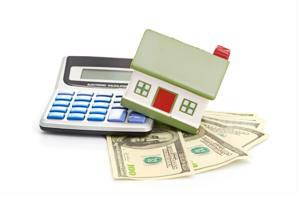 One of the most obvious rules is making sure the payment is in to the lender on time to claim the interest deduction. Cutting it too close to the wire could mean that lenders don't process it in time, which means the mortgage interest associated with the payment won't count on the homeowner's 2013 tax return. While individuals might date their check for Dec. 31 or earlier, they might benefit from ensuring it's delivered to their lender a few days before the last business day of the year. Additionally, individuals should keep in mind that making an early payment is a practice that should be limited to the end of the year. They should refrain from making February, March and other upcoming payments for the purposes of the mortgage interest deduction, as write-offs for prepaid interest is generally prohibited - except in certain cases involving loan points.